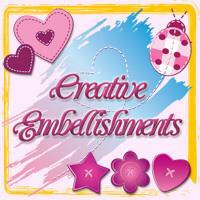 Creative Embellishments is our sponsor this month ! 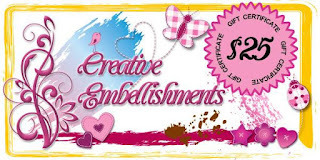 Creative Embellishments is a family owned company that was created by Michael and Nicolle Kramer. 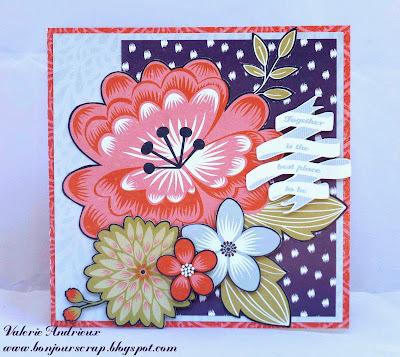 We are a husband and wife team who design and manufacture unique, high quality chipboard,wood, rubber stamps and flair products. We have been in operation since September 2013. It is our mission to offer fun and inspiring products to bring out your inner creativity that you can add to any project. In the near future we will be expanding into other mediums such as acrylic and stencil embellishments. We also custom cut for individuals orders and also have a wholesale store for retailers, kit clubs and classes. The prize would be a $25.00 gift voucher to our store.